Beyer Carpet Cleaning believes in supporting small business. Small businesses are just trying to earn a profit from what they love to do to support their families. No one wants to work for the “man” for the rest of their life so why not open a small business where you are the boss and you call the shots. Beyer Carpet Cleaning opened up with this in mind and with customer needs and wants in mind. Customers don’t want to over pay on something that they need. They also don’t want to place their money and trust in just anyone. Beyer Carpet Cleaning wants to do whats best for their customers and for their business ethics. Carpet cleaners in San Antonio have a bad reputation for the most part. Beyer has heard stories from “a carpet cleaner showed up started the job and left without finishing” or “they finished and my carpets were wet for days”. To “they told me they were using truck mounted equipment and showed up with a portable”. The stories are endless. 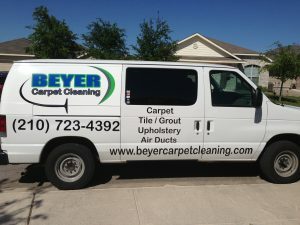 Beyer Carpet Cleaning San Antonio wants to provide you with the best carpet cleaning experience. Beyer has so many friends and family that are currently running their own small business so we support small business. Small business is what keeps our economy going. If it wasn’t for that small business working out their garage believing in their products or services we would not have half the things we do today. Beyer Carpet Cleaning just wants to provide for it’s family and employees and take care of their customers. Carpet Cleaning San Antonio doesn’t have to be a hassle or a headache. Carpet Cleaning shouldn’t be over priced and more expensive than your car payment. Carpet cleaners should offer great prices and quality work when they are taking your money. No one wants to just throw away their hard earned money. Everyone wants to get their monies worth when purchasing something. From carpet cleaning to tile and grout cleaning to upholstery cleaning Beyer Carpet Cleaning can do it all. The next time you are looking for a service or product try to support small business because chances are they offer the best price and will look out for you the customer.